So recently I have read a book called Ghosts and it’s about two sisters. One is Maya and she has cystic fibrosis. It’s a thing you are born with and it affects breathing and digestion. Maya has a older sister Cat and she is terrified of ghosts. She is also terrified of losing her sister. Their family moved to Northern California because it’s cold where they live and it’s better for Maya’s health. 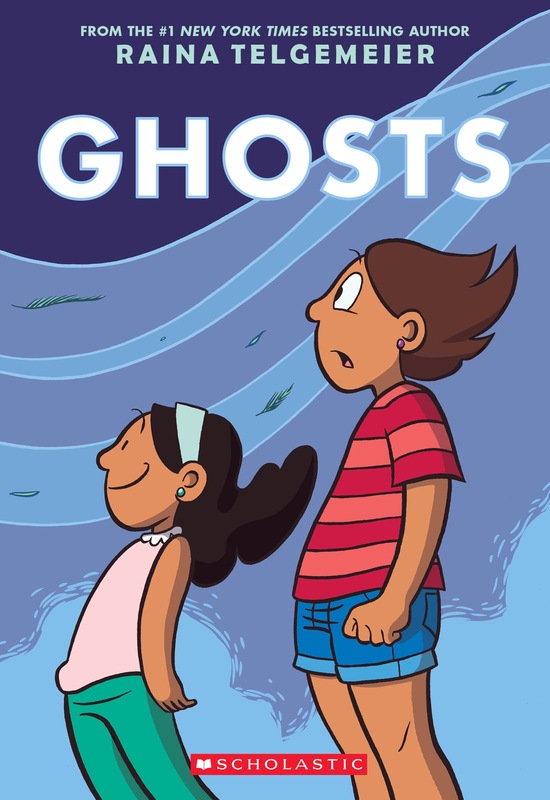 Maya really wants to see a ghost and one day she went on a ghost toor with her neighbour (who lead the tour) and Cat to see all the different places ghosts hang out. Cat gets lost and finds one ghost and she follows it. She took a turn and saw a bunch of ghosts in a circle around Maya. Carlos (the neighbour) gave Maya a drink that she held and all the ghosts followed her and had a lot of fun. But then Maya accidentally broke the glass bottle and the ghosts sworm around her and she couldn’t breath. Cat and Carlos went to the hospital and then Maya had to wear a cord in her nose and a tank attached to the cord. NextThings I want to do in 2017!